WELCOME TO DAVE CREEK’S SF WORLDS! 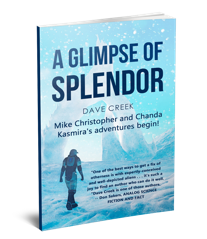 Mike Christopher and Chanda Kasmira began! As two star systems are about to collide, explorer Mike Christopher and the crew of the Earth starship Asaph Hall rush to unlock their secrets. 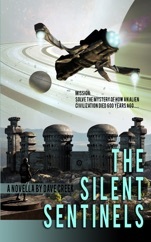 But two alien races on the journey are keeping their own potentially deadly secrets. 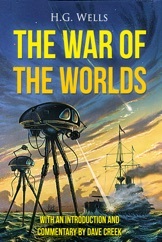 This edition of the classic story of alien invasion features an introduction and commentary by Dave, along with his short story sequel, “The Adventure of the Martian Cylinder,” in which H.G. Wells meets Sherlock Holmes! Today’s most talented SF authors take us on new TRAJECTORIES! 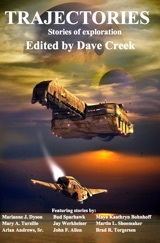 Stories by Marianne J. Dyson, Bud Sparhawk, John F. Allen, and many more! “Frontier ambassador” Chanda Kasmira is stripped of her authority after her latest effort to save the inhabitants of the planet Splendor from its coming destruction fails. Disheartened, she places herself into a "long sleep," hoping to awaken decades later to a brighter future. 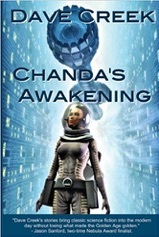 Instead, an even more difficult path lies ahead after CHANDA'S AWAKENING. 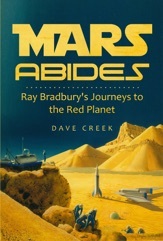 In MARS ABIDES, Dave explains that both the SF fan and the literati can join in praise of Ray Douglas Bradbury, a superb craftsman and storyteller whose lyricism and evocative prose bring to life a Mars that never was, except in his imagination -- and our dreams. NOW AVAILABLE IN ONE VOLUME! A CROWD OF STARS -- Earth Alliance starship captain Jon Hendrik barely escapes death at the hands of the Star Rebellion, and vows to defeat it! Meanwhile, Rachel Adero, a young woman scarred by poverty, joins the Star Rebellion to fight for the destruction of the Alliance! That's as the ruler known only as the Eminence is pulling the strings on both sides of the conflict! WINNER OF THE 2016 IMADJINN AWARD FOR BEST SF NOVEL! THE FALLEN SUN -- Ambassador Jon Hendrik works to keep dueling political factions from re-igniting The Great Human War! When he and his lover Niva Tessler are kidnapped and Niva's family members are placed in danger, the conflict becomes all too personal! 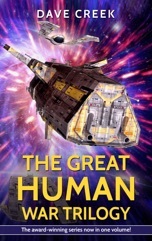 THE UNMOVING STARS -- In the midst of The Great Human War, a sneak attack leaves the starship Shen Kuo with half its crew dead and the ship itself crippled and adrift thousands of light-years from home. 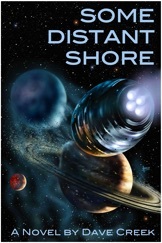 Now, with Captain Kiernan Taylor facing a return journey that could take decades, he must seek out a "shortcut" home even as he perceives the first glimmerings of a mutiny! WINNER OF THE 2018 IMADJINN AWARD FOR BEST SF NOVEL!